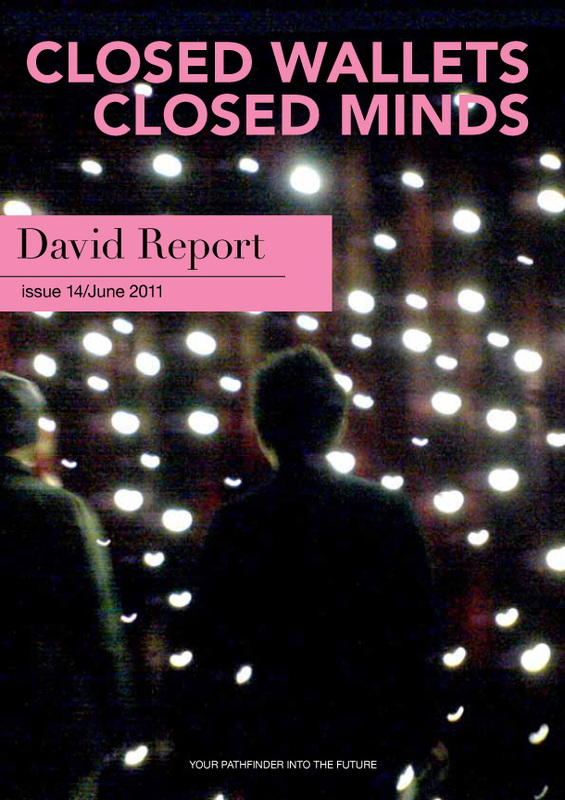 The new issue of the David Report is called “Closed Wallets, Closed Minds”. We are increasingly suffering from consumption fatigue, but brands and designers have yet to acknowledge the fact, reckons David Carlson. One route to success will be an ability to merge commerce with culture… in other words, a sense of meaning is paramount. When so many big businesses seem to have taken on the mantle of The Tyrell Corporation in ‘Blade Runner’, it may not be so strange that consumer demands are higher too. Indeed, producer wants and consumer wants seem to be increasingly drifting apart along this fault line. -‘Only the future will tell if the climate of anti-consumerism is genuine or if we are only on a pause between mad bouts of bag-filling…’ ends David Carlson.